There’s something glorious about our cards for today, and I say that even though I am a lifelong pacifist. 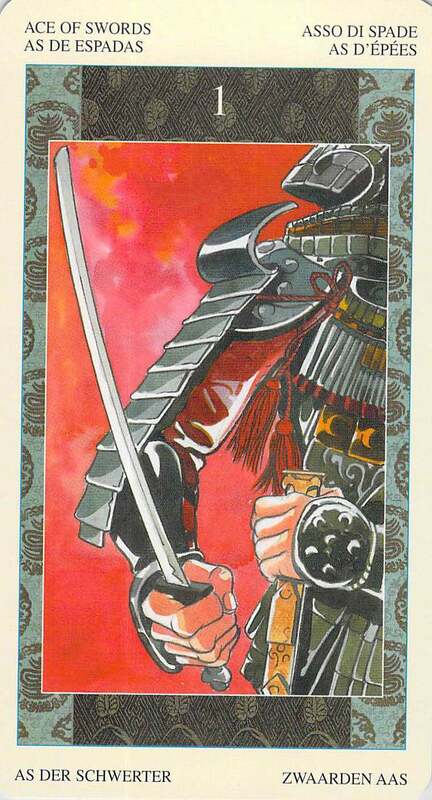 The Ace and Knight of Swords — and, in the Samurai Tarot, the Knight is Miyamoto Musashi himself, a sword in each hand. These cards have to do with truth and justice, and they have to do with a fight. They also involve a choice (consider the two sides of the sword, not to mention the two swords that Musashi has in his hands). But this time, both possible choices are fights. 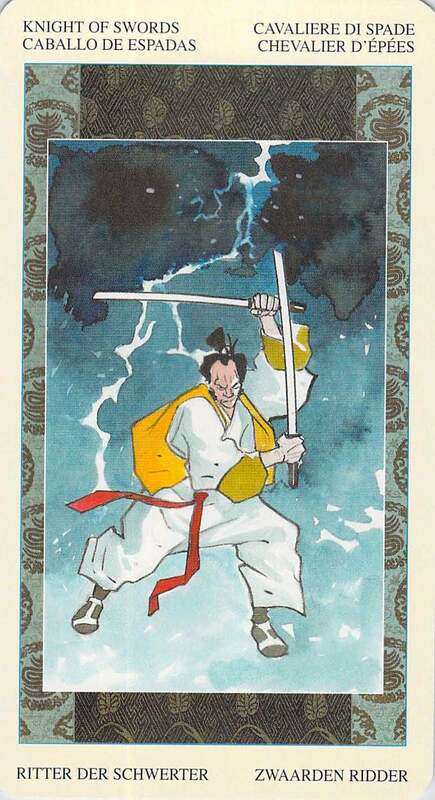 It’s merely a question of how the fight will proceed, because from the moment of that Ace of Swords — that moment when we basically “saw red” — that there will be a fight is a thing without question. Someone crossed a line, somewhere. Put another way, that Ace of Swords was the “moment of truth.” From that moment on, we jumped into this fight with everything we had. But, you can’t go into a fight red with anger. The first step is a calm spirit. Do you see the progression from red in the Ace of Swords to blue for the Knight of Swords? Blue is a sign, as well, of what this fight is about. It’s a fight for truth, and for speaking the truth. How do we approach this fight? We are in it to win, just like Musashi. In it with a strong, focused spirit, with all our available weaponry. Unyielding. Period. Failure is not an option. If you are on the other side of this energy today, I’d recommend you wave a white flag of truce.